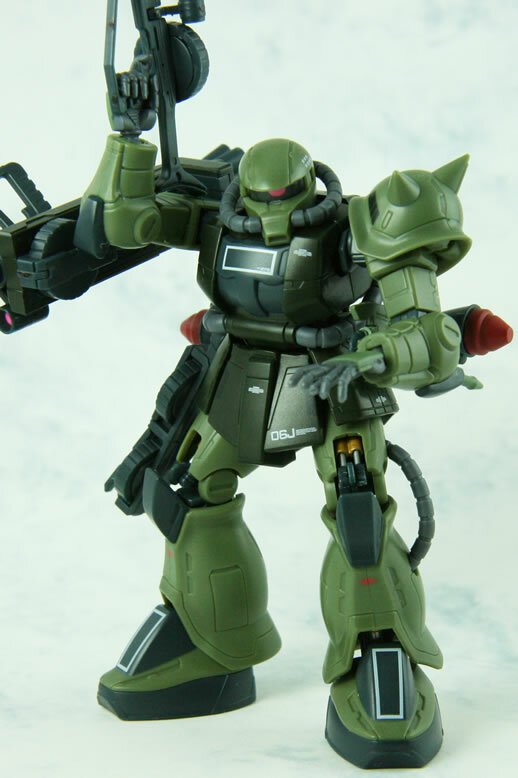 This one has a darker color scheme. 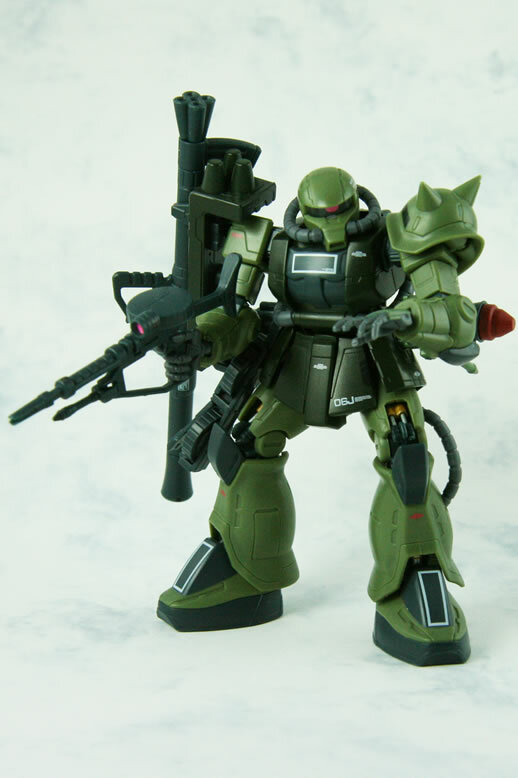 The MS-06 JC-type was built exclusively for ground combat, removing the vernier thrusters required on space-use F-type models. 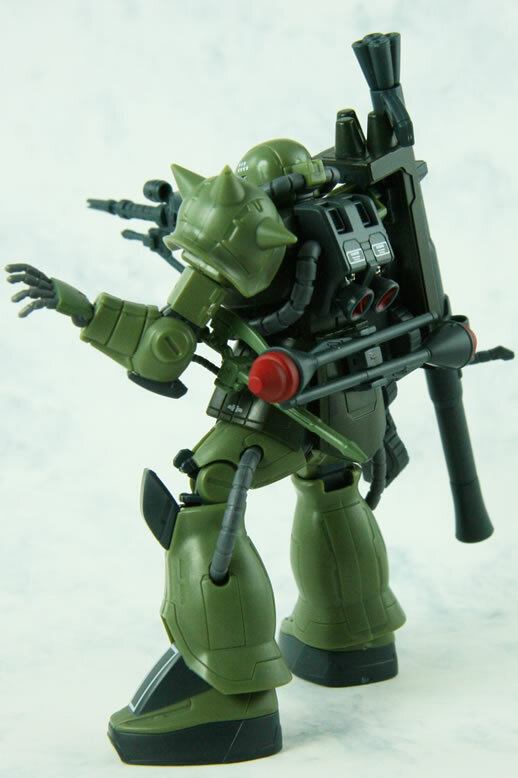 The JC-type also carried a slightly more powerful powerplant (possibly to assist in its mobility under the full-gravity conditions of Earth) and was waterproofed for limited underwater operations. 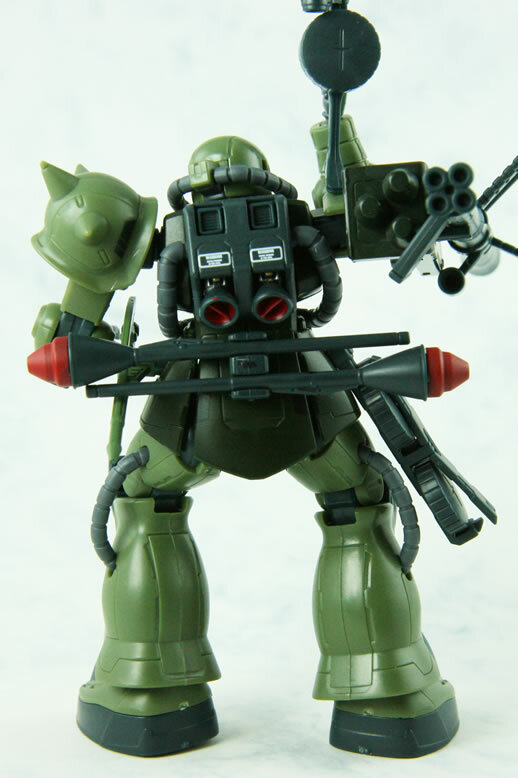 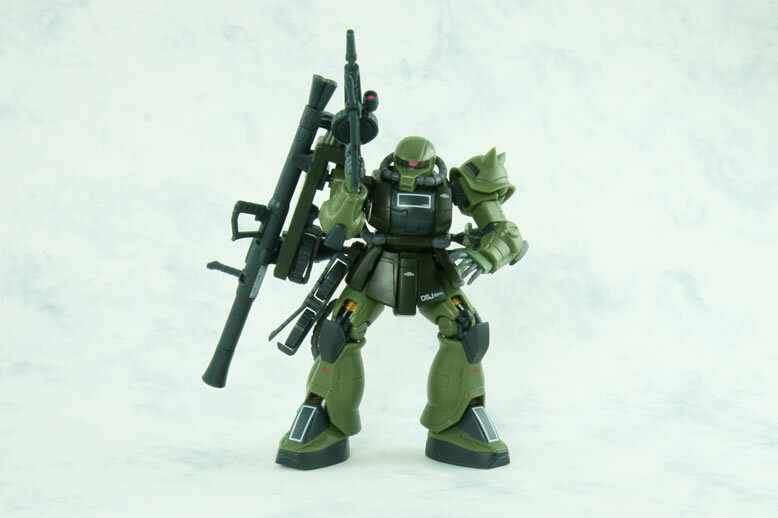 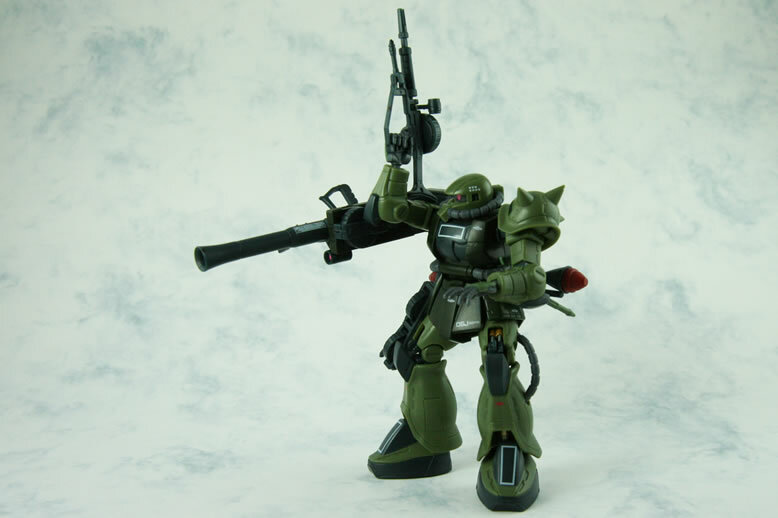 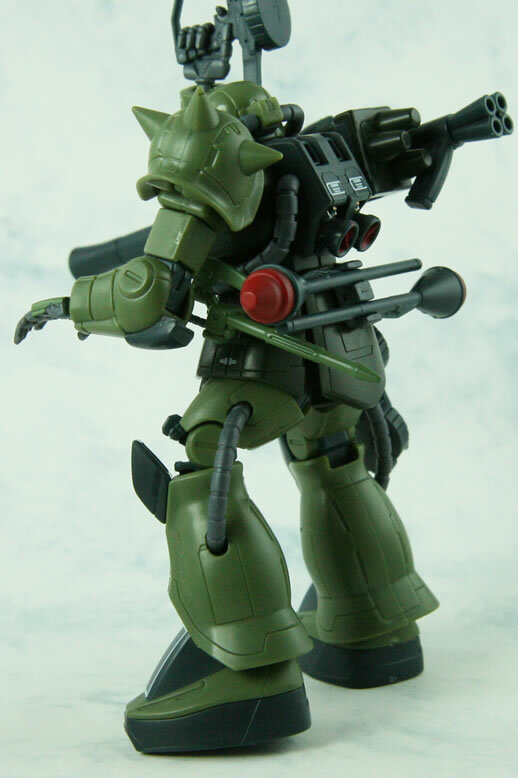 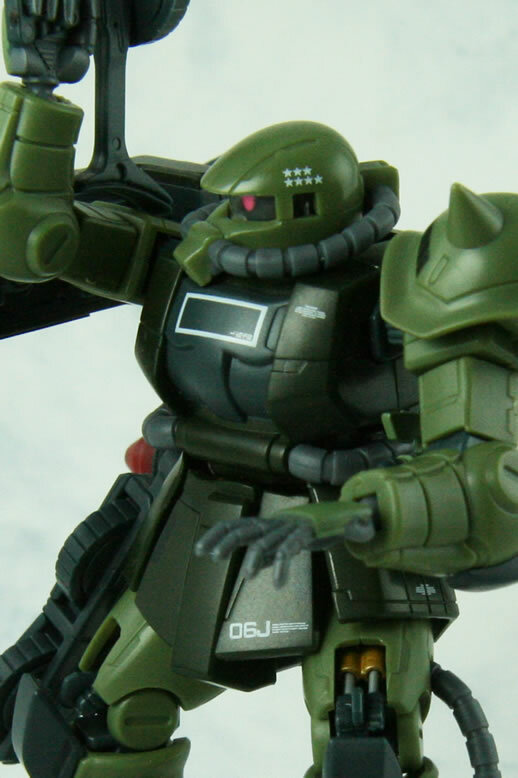 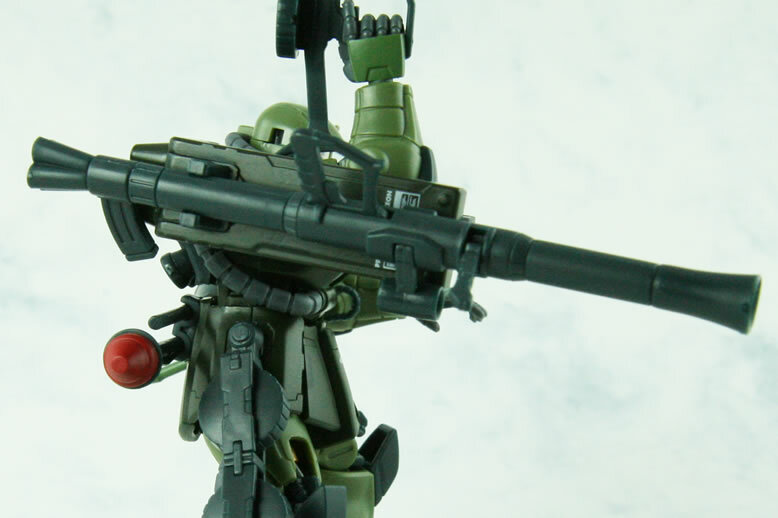 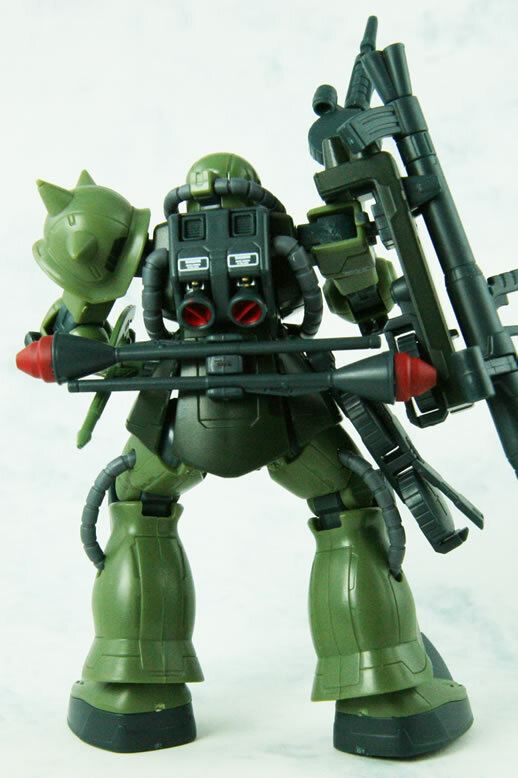 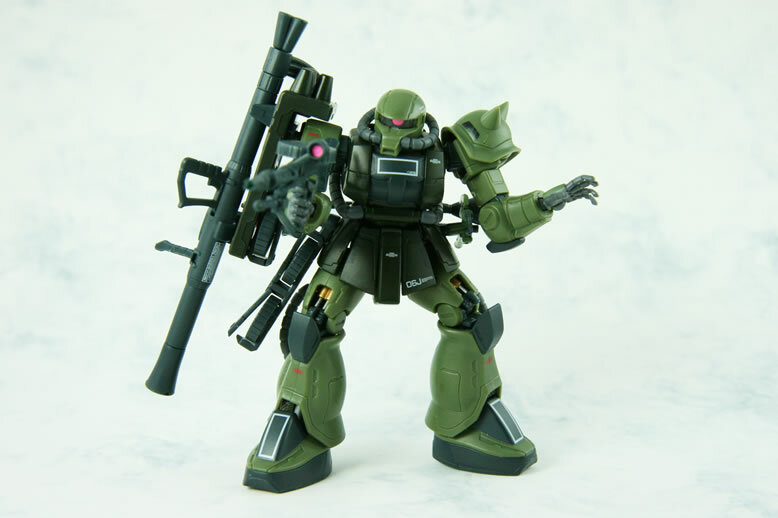 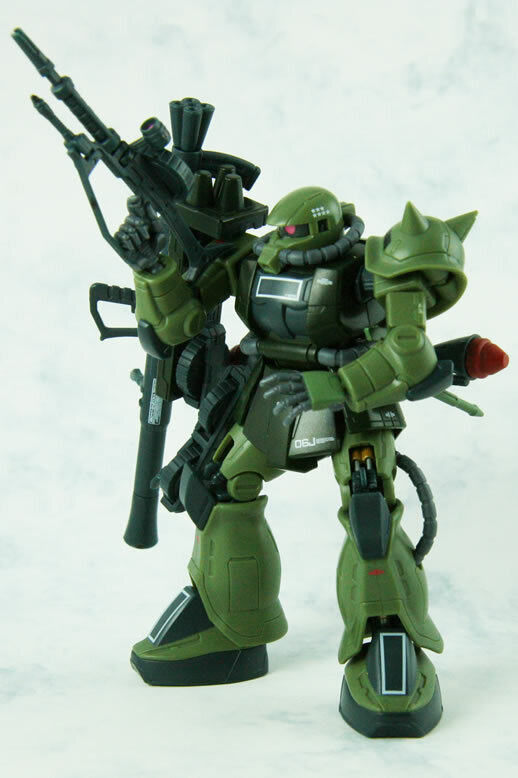 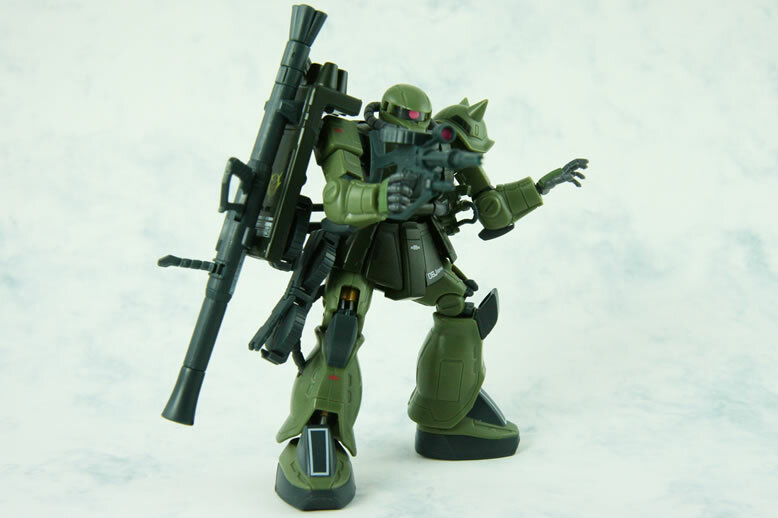 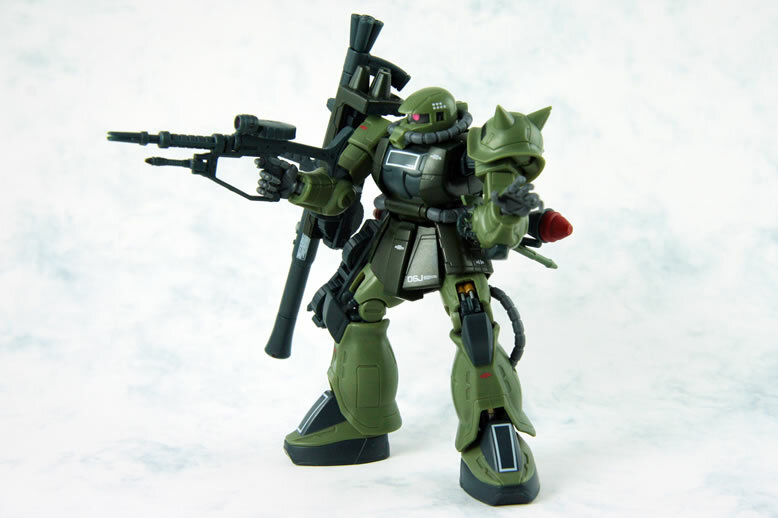 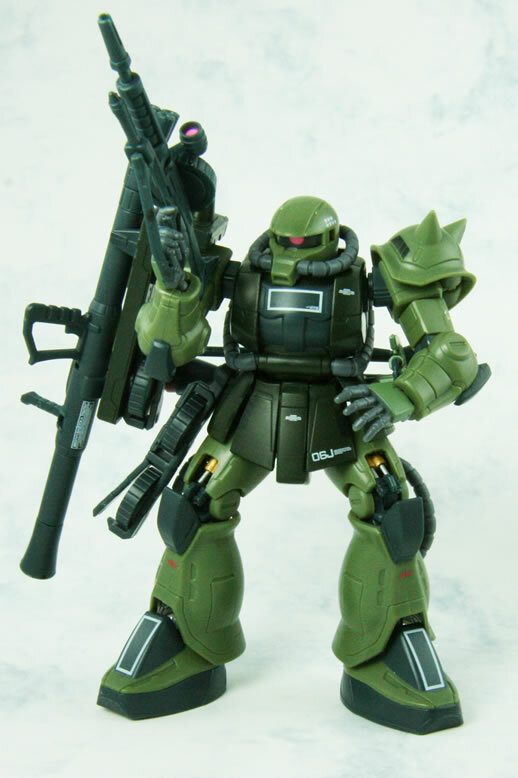 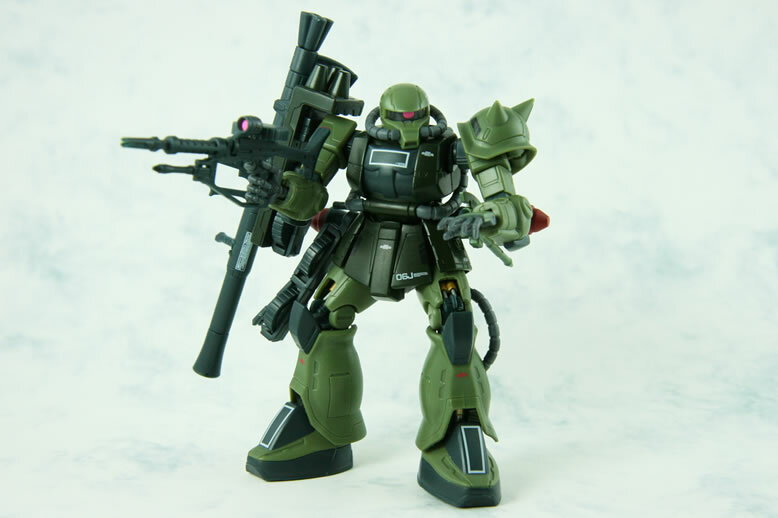 Despite this minor differences, the JC-type Zaku is 99% visually identical to the standard F-type. 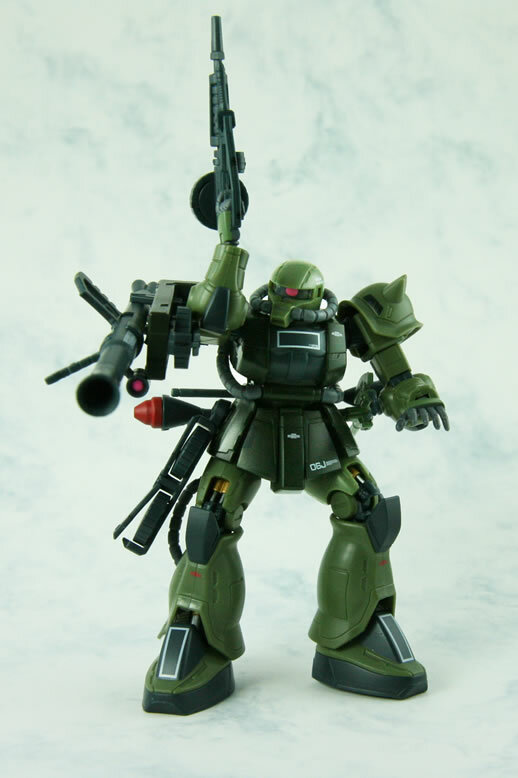 The JC-type also uses all of the same standard armaments as its spaceborne counterpart. 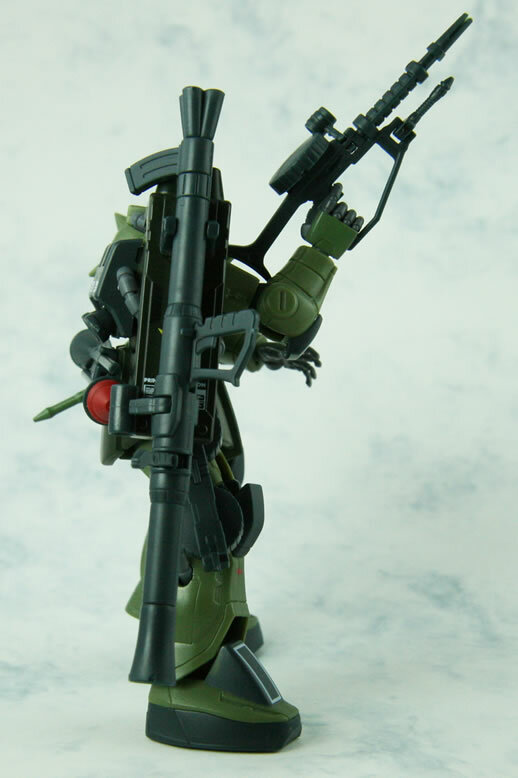 It is interesting how the bazooka is hold on top of the shield. 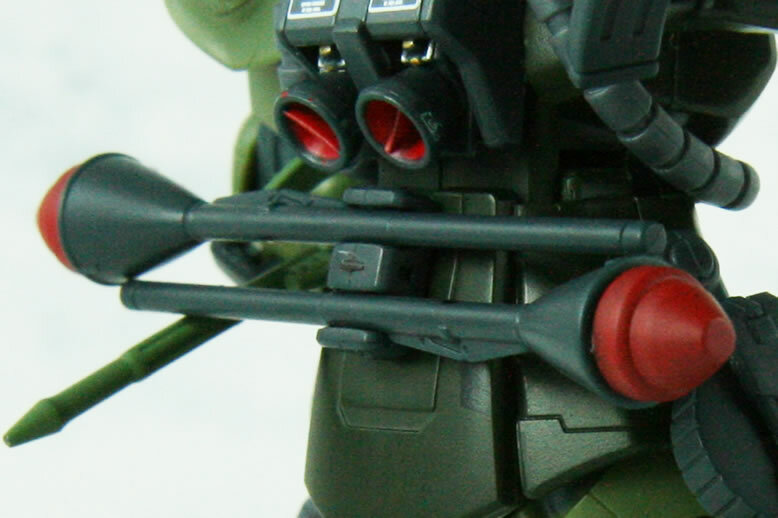 The ace marking is on the head. 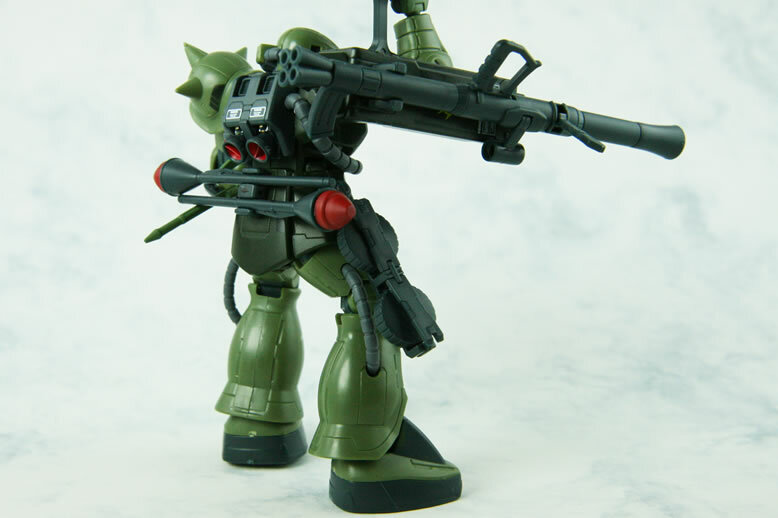 The back details are all there. 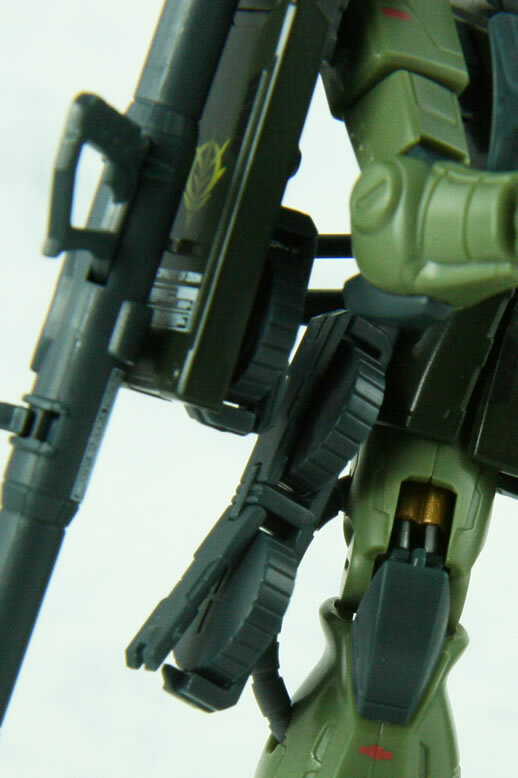 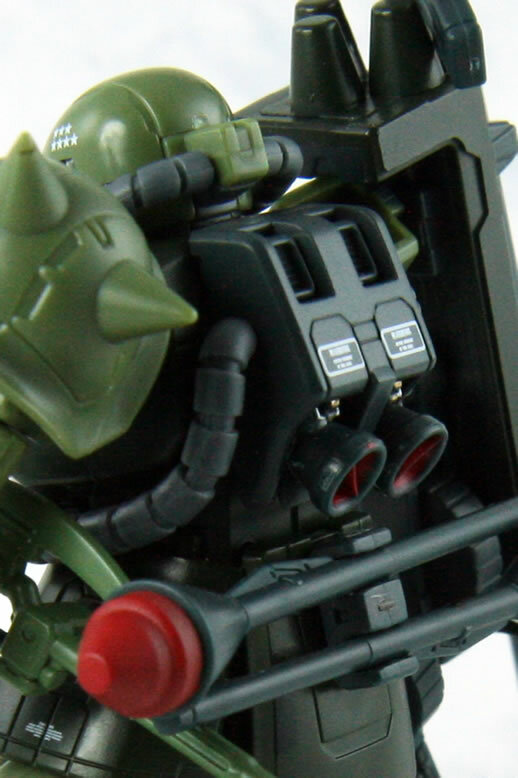 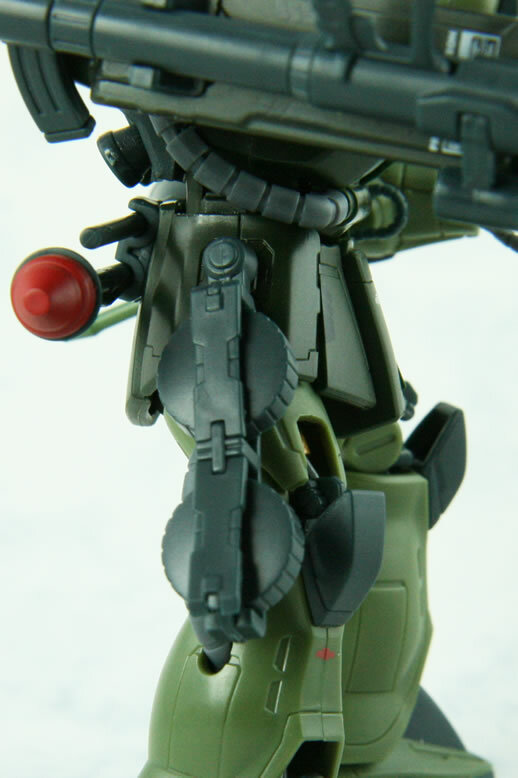 As with other HCM Pro zakus, the internal of the knees is there.